Paul, in Romans 4:17, teaches that true faith is an attribute of God, “who quickeneth the dead, and calleth those things which be not as though they were.” Faith is a union of assurance and conviction; the counting or reckoning a thing done as though it were already done. Faith does not have to see before it believes. It laughs at impossibilities and all circumstances that may be contrary to it and counts the thing done that it asks from God. Faith is not swayed to believe God only when things seem possible. It is not moved to waver or question in the least when things seem to go contrary to what has been asked. It doggedly plugs right along counting the impossible as possible; counting as done the things that are not seen; and counting the things that are not as though they were. Faith is not feeling that prayer is answered. The average person who seeks to exercise faith depends upon what he can see, hear or feel. Testimonies concerning faith are usually expressed in connection with feelings and emotions, or the various senses. “Sense faith” is based upon physical evidence or upon the emotions and feelings of the soul. All who take this road as the basis of faith will sooner or later be deceived. Faith should be based upon the Word of God regardless of any sense–knowledge, or feeling–evidences. People are constantly looking to feelings as to whether prayer has been heard or not. If they happen to feel good, or if something happens that encourages them, they think that it is easy to believe, but if reverses come and feelings take wings, these same people are plunged into the depths of despair. They are quick to accuse God of being unfaithful and untrue to His Word. If they do not go this far, they are quick to imagine that it was not God’s will to grant the answer. 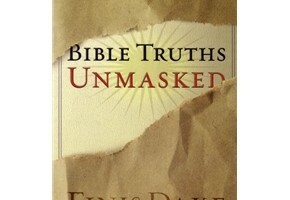 They become satisfied to live without those thing that God has plainly promised.Bible Truths Unmasked.